Perfect for the children in your life! They can make these cookies all by themselves or as a whole family activity. Everything arrives in one festive box including; Sugar cookie mix, Royal icing mix, 2 edible watercolor palettes, 2 food brushes and 3 Hanukkah cookie cutters. 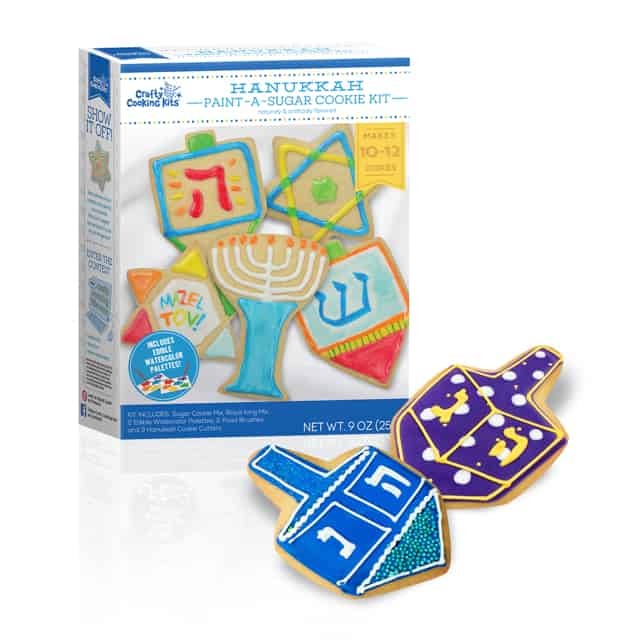 PLUS to put them in the Chanukah spirit – each box arrives with two delicious dreidel cookies they can eat even before they begin! Star K Kosher certified. Parve.